Check out what Designer Alan Copeland has to say about the Baby Dragons he created for The Sims 3 Dragon Valley! 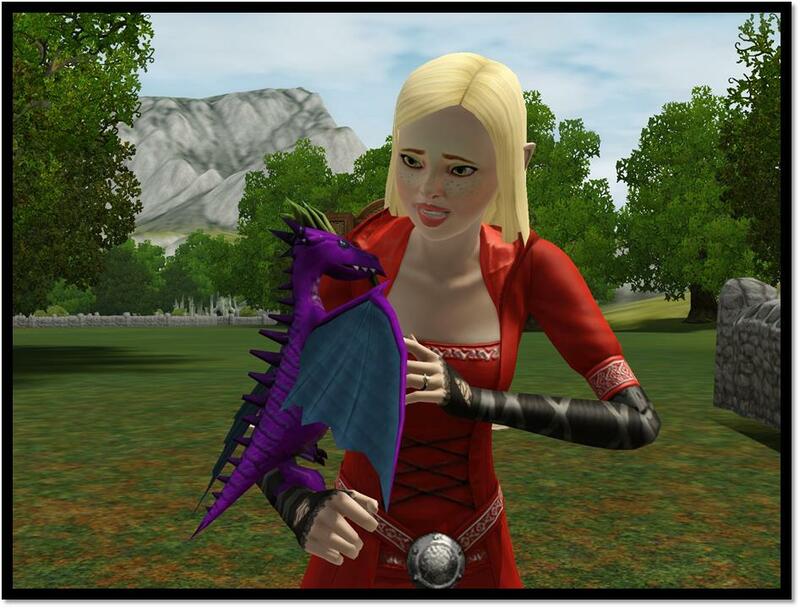 For more information about The Sims 3 Dragon Valley, and the Purple Baby Dragon, click here . Over the past few blog posts I’ve discussed the brazen, fire-breathing Red Baby Dragon and more recently the earth based Green Baby Dragon and its love for all things shiny or harvestable. Today I want to write about what is arguably the most unique of the dragons, a dragon that thrives on joy, humour and happiness. A dragon that is so dang cheery it literally pukes sparkles and rainbows. While Green Baby Dragons may have them beat in the tree hugging department, Purple Baby Dragons are the hipster-est of hippies in the Baby Dragon community. They want nothing more than to see everyone around them having a good time. In fact even the grumpiest of Sims can get a steady dose of Fun and Social just by hanging out with a Purple Dragon thanks to the Mark of the Purple Dragon moodlet. 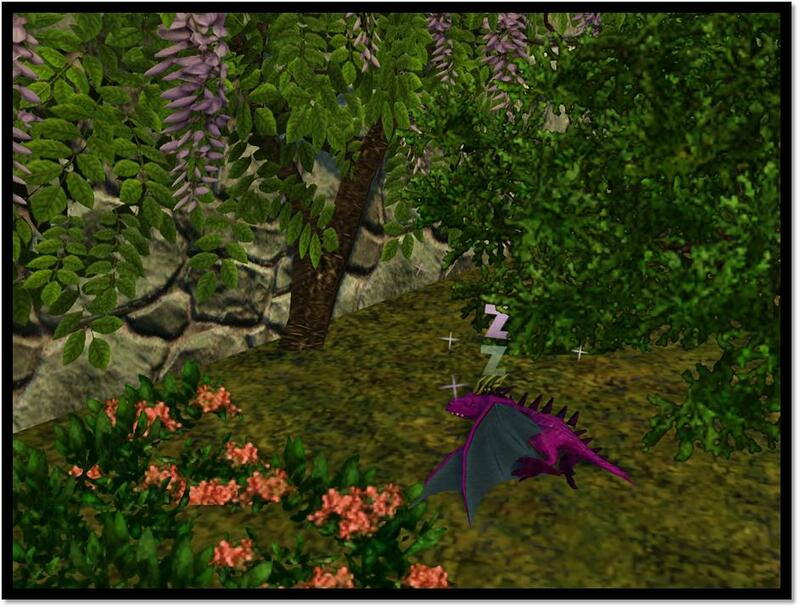 While talking to a Red Dragon can raise your Athletic Skill and talking to a Green Dragon can raise your Gardening Skill, Purple Dragons will cheerfully discuss the particulars of raising your Charisma Skill so you can meet the Sim of your dreams. But what happens if your Sim is a bit of a wallflower or doesn’t know where to find the special someone? No worries, the Purple Baby Dragon has more summoning abilities than any other dragon! Purple Dragons can summon up one of your friends, help throw an amazing party, or introduce you to someone completely new! But one of the coolest aspects of owning a Purple Baby Dragon is its Rune Charm ability. 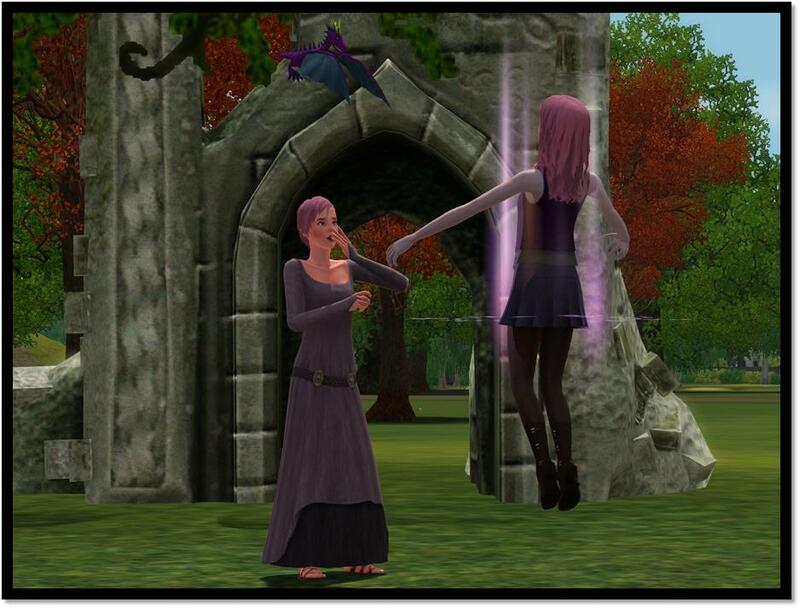 Purple Baby Dragons can imbue your Sim (or any Sim you choose) with massive bonuses to their mood, making them happier and more likeable for up to twelve hours! If you’re looking to meet that one in a million Sim, the Purple Baby Dragon will be your ultimate “wingman”. Persoonlijk vind ik dat de draken er teleurstellend uitzien. En jammer dat er alleen baby’s zijn, mischien bewaren ze de volwassenen voor een EP? Nee dat denk ik niet. En het is logisch dat ze alleen maar baby draakjes doen want anders moeten ze hele grote draken maken die niet meer als ‘voorwerp’ gezien kunnen worden. Ik vind draakjes persoonlijk zelf heel leuk.